Catholic News World : Pope Francis "May the Lord teach us Always, Every day, to make an Examination of Conscience." Pope Francis "May the Lord teach us Always, Every day, to make an Examination of Conscience." 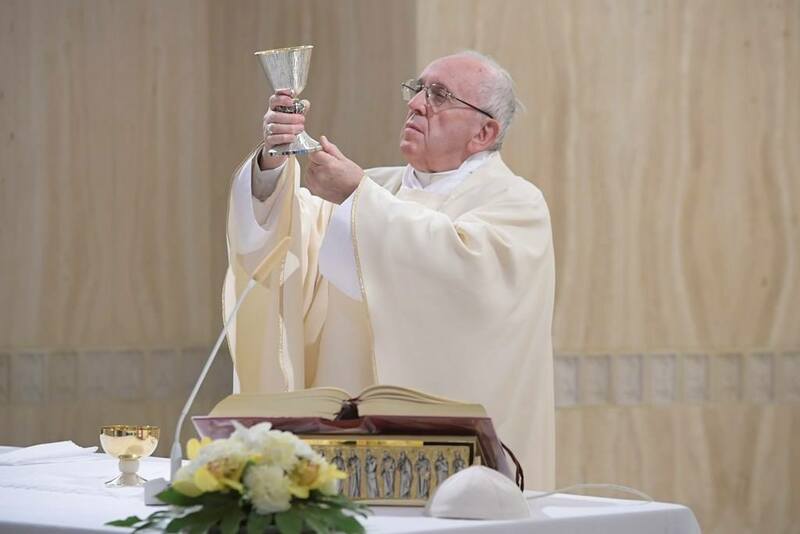 At the Mass at Casa Santa Marta on Tuesday, Pope Francis said that in the heart of each person “the spirit of the world” and the “Spirit of God” confront one another every day. By Barbara Castelli A person’s heart is like a “battlefield” where two different “spirits” confront one another: one, the Spirit of God, leads us “to good works, to charity, to fraternity”; the other, that of the world, pushes us “towards vanity, pride, sufficiency, gossiping.” That was Pope Francis’ message in the homily during Mass at the Casa Santa Marta on Tuesday. “Man left to his own strength does not understand the things of the Spirit,” the Pope explained in the homily. "There are two spirits, two ways of thinking, of feeling, of acting: that which leads me to the Spirit of God, and that which leads me to the spirit of the world. And this happens in our life: We all have these two ‘spirits,’ we might say. The Spirit of God, which leads us to good works, to charity, to fraternity, to adore God, to know Jesus, to do many good works of charity, to pray: this one. And [there is] the other spirit, of the world, which leads us to vanity, pride, sufficiency, gossip – a completely different path. Our heart, a saint once said, is like a battlefield, a field of war where these two spirits struggle." “In the life of the Christian,” then, “we must fight in order to make room for the Spirit of God,” and “drive away the spirit of the world.” And, the Pope suggested, a daily “examination of conscience” can help to “identify temptations, to clarify how these opposing forces work." "It is very simple: We have this great gift, which is the Spirit of God, but we are weak, we are sinners, and we still have the temptation of the spirit of the world. In this spiritual combat, in this war of the spirit, we need to be victors like Jesus." "To recognize the things that occur in the heart. If we do not do this, if we do not know what happens in our heart – and I don’t say this, the Bible does – we are like ‘animals that understand nothing,’ that move along through instinct. But we are not animals, we are children of God, baptized with the gift of the Holy Spirit. For this reason, it is important to understand what has happened each day in my heart. May the Lord teach us always, every day, to make an examination of conscience."